Waiting for a connecting flight from Asheville to Charlotte on my way home to Fort Lauderdale, I look around me at the faces of my fellow early morning passengers. The feeling of happiness within me contrasts sharply with the reflections of dulled spirits I see sitting row after row at the departure gate. In defense of my fellow passengers, it can be argued that even the hardiest soul has a difficult time smiling at the ripe hour of six in the morning with nothing to look forward to besides a long, cramped flight in cattle-car-coach. Yet here I am, feeling a sense of contentment so overpowering it compels me to share it with a young lady sitting two seats away. We enjoy a pleasant, meandering conversation before going our separate ways. By all rights, I should appear as glum and bored to the other awaiting passengers as they appear to me. I’ve logged barely a few hours of sleep thanks to a five AM wake up call and the persistent, loud snoring of a friend who shared the expense of my hotel room. Yet I feel so alive and awake it seems like a miracle. 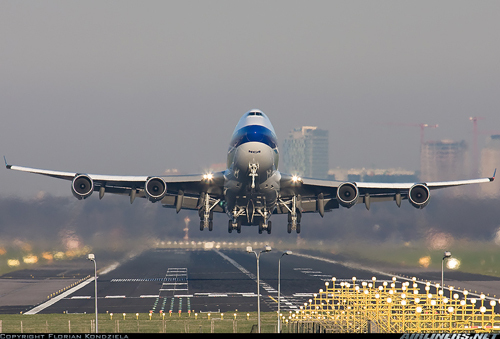 My spirits soar like a nimble 757 jumbo jet taking flight from a short runway. Let me assure you: I’m no stranger to boredom and depression. And I most certainly don’t feel this happy all of the time. What I’m feeling this morning is the direct result of attending Prem Rawat’s talk in Asheville. It’s a classic case of cause and effect, and it makes me realize that I often see my life in two parts: before and after, much like a tooth whitening commercial. Before I began listening to Prem Rawat, happiness had become an increasingly elusive commodity, from my post-adolescence years to about the age of thirty-three. During this time, I had my own ideas of where to find happiness, and I pursued each and every one of them with zeal. And then the zeal began to ooze out of me like a rubber raft with a big hole in it. Even though I was still a young man, my life seemed to weigh more heavily upon me with every passing day. Fortunately, before all of the air in my psychic tires escaped into the ether, a friend told me about a teacher who claimed to be able to show people how to find a fulfillment from within independent from anything on the outside. What a concept. I was ready to try anything. That was thirty years ago. In the “after” stage of my life, I’ve been using the tools Prem Rawat handed to me to combat boredom, depression and fatigue by nurturing an inner experience as refreshing and alive as cool water from a natural mineral spring. I gaze through the airport’s windows, appreciating every minute of beauty and stillness reflected in the misty morning breaking outside on the tarmac, where the ground crew readies the small airplane assigned to whisk us away to Charlotte. From there, we will scatter to our various destinations, back to the lives we are constructing for ourselves. I wonder what those lives are built upon. I know that I want to construct my life on a foundation of happiness. I am determined to use the tools I have been given to make happiness a priority and a reality. And how, you may inquire, do I propose to achieve this goal? By following my heart to an oasis of peace, joy and contentment within. This entry was posted on August 8, 2012, 11:55 pm and is filed under Essays, inspiration, life, motivation, musings, philosophy, positive thinking, reflections. You can follow any responses to this entry through RSS 2.0. You can leave a response, or trackback from your own site. I have often felt this contrast in airplanes. Feeling deliciously happy inside and not giving a fig about tiredness or jetlag because I was going to, or coming from a replenishing visit to my beloved M. We are so damned fortunate to have been shown how to access the heart and its myriad gifts. And then to have the inspiration of the teacher on top of all that! And his constant and tireless reminders to live a fulfilled life and not to be distracted by the concepts which seek to weave a web to enclose our clarity. Prem Rawat is the teacher for the Millenium! Glad you can relate to the airplane travel thing. Thanks for your words of inspiration.